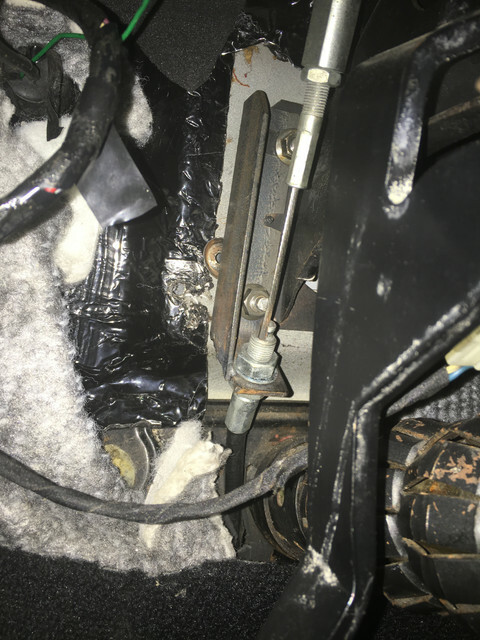 MLmy pedal is hitting the cable bracket that mounts to the firewall not allowing the clutch to go all the way down to release. If I angle my foot on the clutch to push it to the right slightly while pushing is down it will clear the bracket. Anyone run into this? We installed the MDL cable system and I have plenty of throw before contacting the bracket. Here's a couple shots of of our setup. Pardon the mess- we're prepping for a new under dash wiring harness. I also installed mine recently and it moves well, albeit I still dont have the cluth in. Could it be that the pedal has too much side-to-side play? Thanks for the info. Yes I pulled the drivers seat out last night and crawled up under the dash. Looks like one of the circlips on one of the bearings broke (weird as I have never seen one brake) the was a few pieces of it still in the groove so it was holding it but not 100% allowing side to side slop. Going to grab a new one today and play pretzel tonight. Just an FYI. I contacted MDL and the pedal is not supposed to hit the cable bracket. It should go all the way to the floor just to the left of the bracket. (07-26-2018, 09:02 AM)73pony Wrote: Thanks for the info. Yes I pulled the drivers seat out last night and crawled up under the dash. Looks like one of the circlips on one of the bearings broke (weird as I have never seen one brake) the was a few pieces of it still in the groove so it was holding it but not 100% allowing side to side slop. Going to grab a new one today and play pretzel tonight. Just an FYI. I contacted MDL and the pedal is not supposed to hit the cable bracket. It should go all the way to the floor just to the left of the bracket. I am glad you figured it out and I am also glad that I welded mine in place. Yes. I am planning to pull the pedal support out and weld them in place soon. I popped a new snap ring in on lunch today so I could use the car for now but noticed some slop still. Got any instructions on how to pull the pedal support? (07-26-2018, 12:56 PM)73pony Wrote: Yes. I am planning to pull the pedal support out and weld them in place soon. I popped a new snap ring in on lunch today so I could use the car for now but noticed some slop still. Got any instructions on how to pull the pedal support? I can tell you what I remember, some details and order may be wrong but it is easy to figure out once you are at it. It basically takes a lot of disassembly and then a lot of "while I am at it". -Remove steering column. While you are at it you can replace the firewall seal and rag joint. -Remove instrument cluster so you have access to one silly bolt that is way on top. -Unhook brake pedal rod. Here I was removing the brake booster as well. 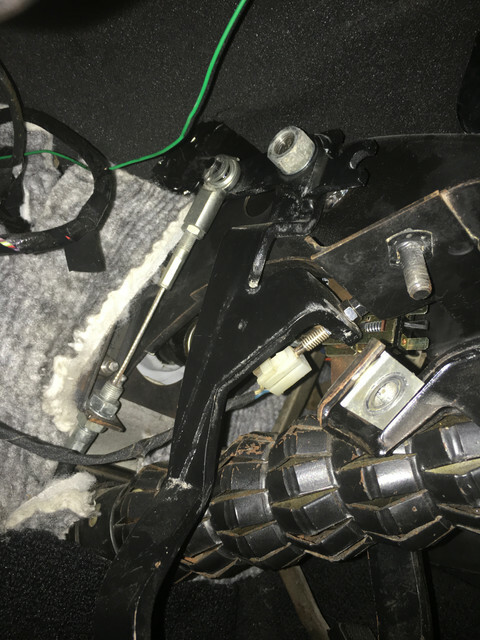 -Remove bolts that hold the pedal support to firewall, fuse box, instrument panel, etc. I hope I am not forgetting anything. While you are at it may as well paint the support, clean the area, check all the wires, etc.